In my WordCamp Hamilton Presentation – The Art of Pinterest for WordPress – We’ll discussed how using Pinterest can improve your blog. 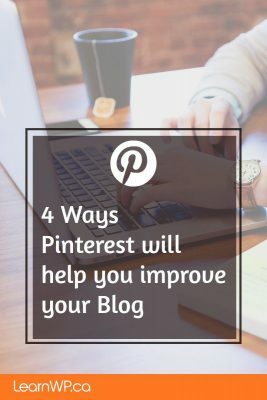 To make your blog Pinterest-friendly and sharable you’ll want to review every blog post you’ve ever published. 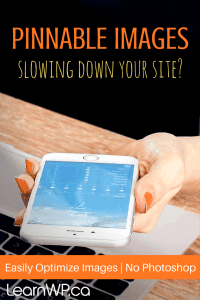 If you’ve been blogging a long time, this can be a daunting task. I suggest that you begin with your most recent post and work your way back. Create a new Pinnable image for every post. 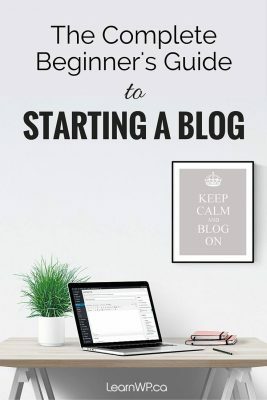 Start with the newest posts and work your way back through your blog. Tall images are best for Pinterest. We use Canva. Make sure your old posts are worth pinning and sharing and worthy of a new pinnable image. It is okay to edit past posts and make them better or, if the post isn’t adding any value to your blog, delete it. Don’t neglect to create a 301 redirect for any post you delete. While you’re there check all links and make sure none are broken. A lot of new bloggers don’t understand how to use categories and tags. You may have a better sense of your blog’s architecture now than you did when you started blogging. The reason to use categories and tags is to link like content together. A common problem is overusing tags and categories or using Uncategorized. If you’re guilty of this (and few of us aren’t) you’ll want to delete, redirect and merge tags. Whenever you create a category or a tag keep in mind that you are creating a page, an archive page. If you decide to delete or change a category or a tag you will also need to redirect its archive page to avoid creating broken links. Pinterest may help you visualize your blog structure. Look at the Boards you’ve created. 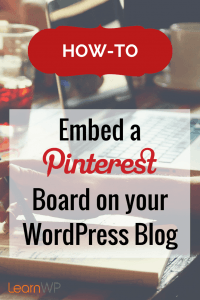 Can you have a blog category for each of your main Pinterest boards? Recently we wrote a post highlighting The best social sharing plugin for WordPress that we’ve found. The Social Warfare plugin (affiliate link) allows you to optimize each post for social sharing. If you make social sharing easy you will see an increase is social engagement. What I like about the Social Warfare plugin is you can get your WordPress blog readers sharing your content the way you want it to be shared. 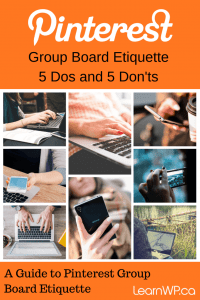 You can set a tall image for Pinterest and a horizontal image for other social media platforms. You can craft your own Pinterest descriptions to pre-populate the pin description. Best of all this pin description isn’t hijacking the image alt tag which should be used for web accessibility purposes not for Pin descriptions. You can add click to tweet quotes in your blog content — It’s brilliant!